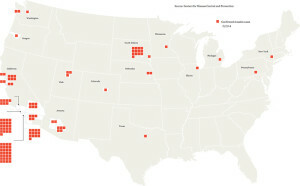 PULLMAN, Wash. – When it comes to the measles outbreak that originated at California’s Disneyland, it truly is a small world after all. 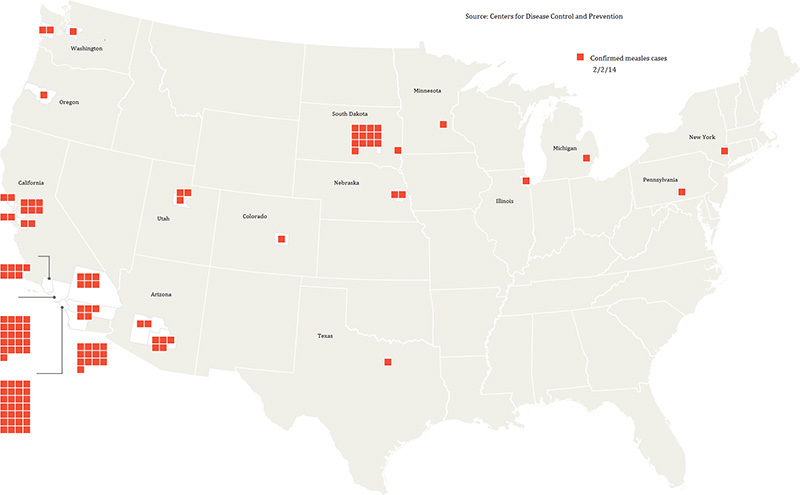 The virus that took hold at the resort shortly before Christmas has journeyed beyond the “happiest place on earth” to sicken people in 14 states, including Washington, Oregon, Utah and Arizona. 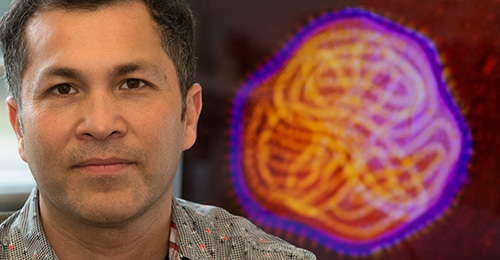 The disease’s swift spread comes as no surprise to molecular virologist Hector Aguilar-Carreno of Washington State University. Aguilar-Carreno researches the viral family Paramyxoviridae – of which measles and other respiratory diseases, including the deadly Nipah virus, are members. With the number of measles cases now exceeding 100, the nation is facing a possible “large outbreak,” according to the U.S. Centers for Disease Control and Prevention. The majority of people infected are unvaccinated, officials said this week. In Washington state, the most recent case involves an infant who was too young to receive an immunization, according to the state’s health department. In the state’s other two cases, an unvaccinated teenager contracted the disease after visiting Disneyland in December and then infected her brother after she returned home. What makes this minuscule microbe – inert as a statue while outside a compatible host – so contagious? At the petri-dish level, the measles virus is extremely stable, said Aguilar-Carreno. Whether suspended in air space or waiting on a table top, it can survive and remain infectious for up to two hours, he explained. If that person is unvaccinated, he or she will discover a week or two later that, even without complications, measles is typically not a mild illness. What’s more, by the time the telltale red, itchy, skin rash erupts, the person will have been unknowingly dispersing the virus for several days. And there’s more. Not only is the measles virus hardy in the environment and able to mask its contagiousness, but it also uses a “strategy of diabolic elegance” to exit one sick person and potentially infect many more, said microbiologist Roberto Cattaneo at the Mayo Clinic in Rochester, Minn. Cattaneo, like Aguilar-Carreno, studies the mechanisms by which Paramyxoviruses infect cell hosts. In a well-known 2011 study published in the journal Nature, Cattaneo and his colleagues discovered that the virus lodges in the trachea, or windpipe, where it replicates millions of times. There, it induces spasms of coughing to launch virus copies out of the sick person and into a bystander – or possibly many bystanders. “All those virus copies expelled from the infected host’s trachea are in just the right position to ride out into the air – ionized into the finest droplets – to infect their next hosts,” Cattaneo explained. All of which demonstrates that the measles virus has evolved to spread rapidly and efficiently among humans, said Aguilar-Carreno.